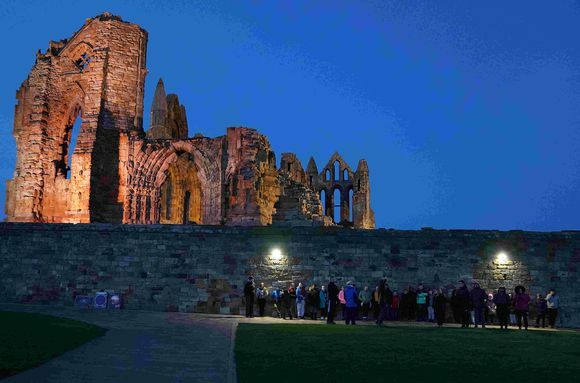 The now annual visit to the Whitby Youth Hostel by visiting pupils from Ayresome Primary School in Middlesbrough coincided with the early Easter holidays, a period which is often susceptible to the weather, and so it proved with cloud and or rain for much of the week. Fortunately Thursday 5th was the exception and clear skies during the day lasted into the evening (more or less), making observation possible for the 3rd year in succession. On arrival at the hostel area we were met by Libby Lavelle, assistant Head teacher, who had a larger 30 strong group of pupils this year. Observations were carried out on the grassed outer approach courtyard area, adjacent to the driveway along to the hostel. Mark, Keith, Lee and Andy L were joined new member Philip this year, and so four scopes were in operation. 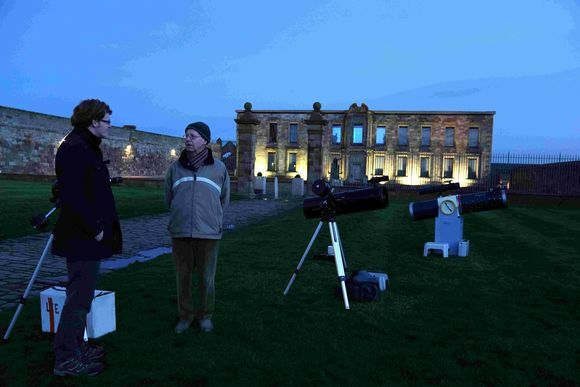 Before observing commenced, Mark and Andy demonstrated the scale solar system along the drive, using both the inflated planets and the light spheres. The only visible planet in the sky was Venus, a brilliant beacon over in the west, and with no moon visible, observations through the scopes were limited to brighter deep sky objects and some star clusters. Mark gave a sky tour with Andy’s laser pointer, having mislaid his (under the throw rug in the rear of his car as it turned out.) The was conducted on the Abbey headland near where the coastguard station used to be, and away from the majority of light spill. By 22:00h the chilly air was starting to take its toll, and so proceedings came to and end.